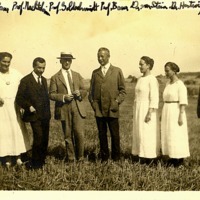 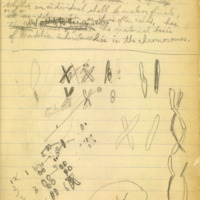 Notebooks of planned genetics text prepared by Hermann J. Muller and Edgar Altenberg, 1912. 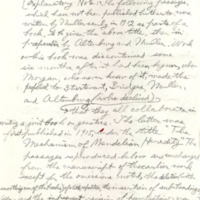 Letter from H.J. 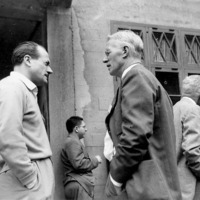 Muller to Elof Carlson. 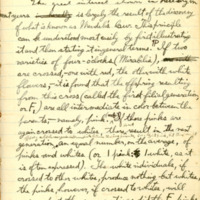 Typed letter with handwitten additions and postscript from H.J. 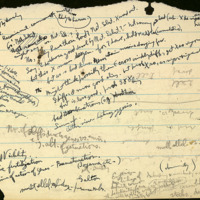 Muller to Elof Carlson regarding who to consult about writing a biography of Muller, 1963.